Thermal mass, passive house, and the Paris climate talks? Do you need thermal mass? I’m often asked whether you need concrete or other forms of thermal mass in a certified passive house. The question comes up quite often in the U.S. and Australia. The answer is no. You don’t. While thermal mass can be useful in a hot climate, it is not necessary for true energy efficiency across all climates. This is in contrast to traditional passive solar houses, where thermal mass is needed. In a passive solar home, you need a dense material, usually in the floor, as the home is expected to perform when the sun shines on the material to heat it up. 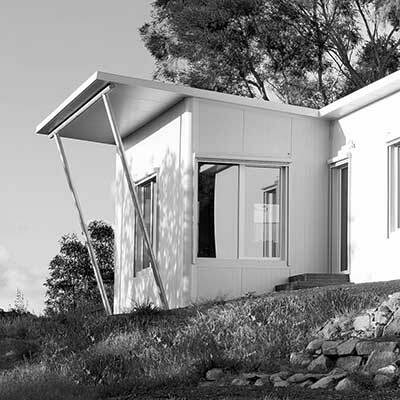 The concrete, or other thermal mass, is needed to absorb some heat from the sun, and radiate it back into the house. Of course, this is how the building is expected to perform in winter, or when it’s cold. On hot days, you would want to stop the sun from shining on the thermal mass. Some people complain that buildings should use materials with less “embodied carbon” – they don’t like concrete for that reason alone. Sometimes, ironically, the complaints about concrete come from advocates of passive solar design. I guess all building systems involve some carbon footprint. The question is, how big is the footprint overall, and where does that footprint come from. If you avoid thermal mass, by building a passive house building, it means that the carbon footprint of that house is lower. Of course, ensuring an airtight building, if it is properly designed for ventilation and includes the other passive house keys, is an incredible way to lower the carbon footprint of a building. And what’s more, the passive house makes sustainability comfortable! Building the way we usually do – with poorly designed leaky building envelopes – is “an investment in a carbon intensive future”. It’s hard to get a wholistic picture of our buildings and energy consumption. But we need to reduce energy consumption generally. Just look at the Paris Climate Talks. But regardless of what our world leaders decide from year to year, what’s to stop us building passive house buildings from now on?